Graded FAIR 20 by SGC. 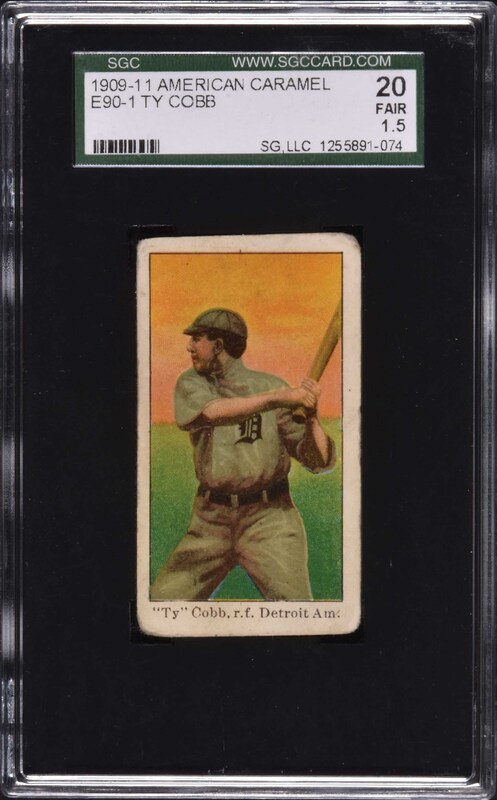 Very attractive example of key Hall of Famer Ty Cobb in a batting pose from the classic E90-1 American Caramel series. 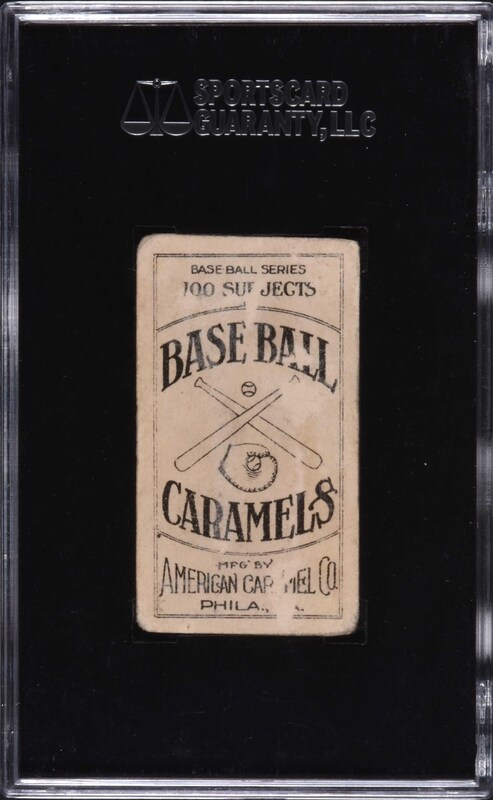 This caramel card is widely recognized by collectors as one of Cobb’s most striking cards. Bright and crisp, both front and back, with brilliant colors, flawless registration, evenly rounded corners, a crease in the upper left, and centering to the left. The reverse has several spots of paper loss from album removal. This is a very attractive low-grade example of the key Hall of Famer from the most popular caramel-card set of the era. Reserve $300. Estimate $500+.